Training: Speech and Drama Classes. 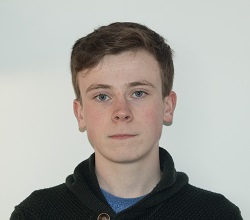 Member of the Leitrim Youth Theatre, Carrigallen, Co. Leitrim. Skills: Gaelic Football, Swimming, Karate, Piano, Drums. News: Featured in a music video for Bressie’s single, ‘Show Me Love’, January 2013.